That’s it! I have officially arrived at Are-you-kidding-me-ville. This time I am propelled by all things “Gluten Free” and I can safely say, I doubt there’s any going back. I’m sure it started innocently enough, when ‘No gluten’ was doctors’ orders for people with celiac disease. 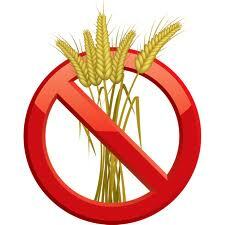 In fact I knew two people, personally, who simply could NOT eat foods containing wheat, barley and rye food products. I had heard from them how tough it was to avoid gluten, not to mention the work-around necessary at family mealtime. But, for them, it was non negotiable: no pasta, no bread, no crackers or party snacks allowed. It was a serious matter, and they did what they needed to do. 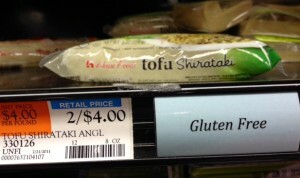 More recently, I learned about others for whom “no gluten” was simply a healthier-eating choice. It wasn’t awful for them. Nor absolutely necessary. But it was preferable. At one point, I even adopted this new eating rule and faithfully maintained a gluten-free diet for several months. Yes, I felt better avoiding gluten. But, truthfully, I wasn’t willing to put in the extra effort to keep it up. During that time, I became aware that food eaters everywhere were grabbing hold of this trend, prompting food makers everywhere to respond. Before long there was mass marketing of all things (now!) gluten free: pastas, breads, beverages, candy, chips, crackers, desserts, condiments – things that never even had gluten in them or near them were being merchandised with new highlighted packaging, shelf signs every five feet, and supermarket ads touting the words or the simple GF icon. At the supermarket there were signs promoting Gluten Free Cooking Classes. No escape, I thought, it is officially everywhere and it’s bordering on the ridiculous. Then, suddenly – when I least expected it – it went over-the-top. While looking at the backside of a local church bulletin left on my friend’s coffee table, I spotted a small, boxed note in the lower left-hand corner titled, “Gluten-free Hosts”. I read on, to the details of the offer “for parishioners and friends who may need them”. It even advised as to how to order ahead. It’s all I needed to start wondering things like, “How does one signal the priest at Communion time that you want one of those? What percentage of people “receiving” actually request a gluten-free host? And where does the church get a special item like this, anyway… Whole Hosts ? Questions flooded my head – I had dozens. But most compelling to me was this: What in God’s name did Celiac Catholics do before this? !